May 6: 5 POWER Lessons From 5 Leaders Who Made History On This DAY! All of us prefer direct access to daily dose of inspiration. Stick onto this write up which is an interface between you and success secrets and progress to land on this planet. Read on! Victory may be a part of life for the ordinary. But it is the breath of an achiever’s life. Life is impossible if breath is lost. Hence, the winner continues to succeed all throughout his journey irrespective of any challenge. Leaves respire through their stomata and they respect the same. Along with helping the leaves breathe, stomata look after the leaves and ensure their healthy well-being. Our dreams and desire to achieve them at any cost simulates our respiration- aspiring achievers’ respiration. However, along with our strong decisions to win, equal amount of efforts-filled actions follow. Our actions describe our mental strategies and promote our thoughts to the next level. Therefore, a strong desire to achieve helps us live long through our achievements. 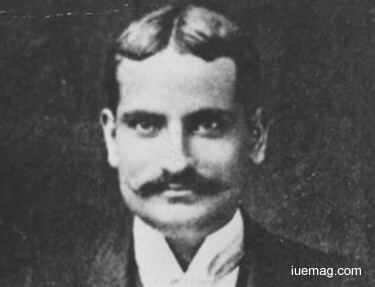 Motilal Nehru, an Indian achiever remained a synonym till date to the terms, ‘win,’ ‘change,’ ‘better.’ The lawyer and an activist of the Indian National Movement was a very important leader of the Indian National Congress. He served as a president of Congress twice. The co-founder of India's Swaraj Party was a prolific leader of the Indian independence movement. He dreamt to free India and this dream kept him growing to engulf the negatives and achieve what he wanted. It was this dream which acted as oxygen for him to breathe. Who said that there are qualifications which are required to succeed? Who said that life only from 18 to 60? One common mistake which we all do is to draw boundaries around us and live within the limitations. When no one has asked us to limit our potential, why do we have to? A hard worker succeeds anyway and anytime. It is not just the way you lead your life that takes you high, but it is also the mindset and thoughts which help you witness true success. Realization doesn’t happen with prior intimation. It all happens automatically. Hence, you don’t really have to worry about boundaries and constraints, you only got to focus on what you have to do and do it. There are achievers who’ve achieved after their 50’s and 60’s too. So never lose hope; you are sure to achieve some day essentially. 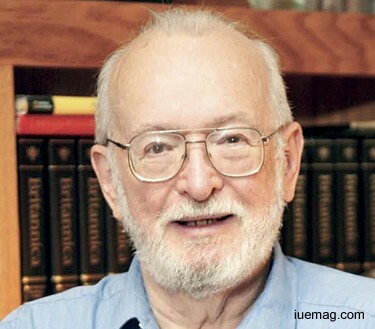 Paul Lauterbur worked hard and never limited his capabilities. The American chemist shared the Nobel Prize in Physiology or Medicine in 2003 for developing the magnetic resonance imaging (MRI). He keenly got addicted to researches which founded a lot of improvements in his concerned domains. He continued his research and served as a professor of chemistry, with appointments in bioengineering, biophysics. His contributions towards MRI began while he was a student when he scribbled the first model on a table napkin. Life gives you a practical demonstration of what is needed to attain success. Not everyone can succeed and not everyone who understands life succeeds. So it is the 3 d’s: dedication, determination and desire that must be added to achieve what you dream of instantly. These qualities manifest willpower and perseverance into our attempts and take them towards sanctity. Every real idea that you get by looking around and every lesson that you learn from what happens in your life guides you into the right path and helps you win what you have to. You don’t really have to depend on others’ lives and experiences for guidelines and lessons because your life itself acts as a source of all the teachings and preaches you the right way for you to follow. Apart from the incidents which happen in life, introspections and analysis of why things happened would add more to your winning process. 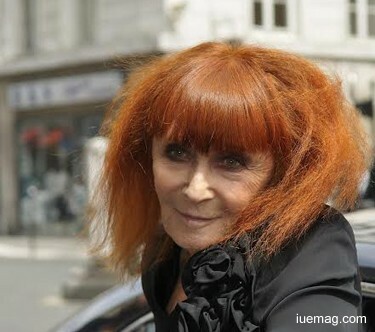 Sonia Rykiel learnt immense from his life and transformed it into a platform of gaining success and success formulae. The French fashion designer and writer created the Poor Boy Sweater. This was one among the many sound revolutions which happened in fashion technology. Her knitwear designs and new fashion techniques gave her the name, Queen of Knits. The gentle and creative lady founded her first ever store of clothing, accessories and fragrances. Also writing a book, she revealed her passion for the fashion industry. Dreams may be many in number but ambition is just one. During the course of your journey of reaching and tasting success, you must and will sign a lot of milestones which catalyses your desire to achieve your aim. Just because your dream job is that of an editor, you cannot straight away be one. If you want to get a call for this job, you got to learn not just how to edit, but also about what editing is all about. You got to train yourself by writing, obtain proficiency in it and then only think about editing. So here, the job of a writer acts as a bridge to that of an editor. So you can definitely achieve milestones which prepare you to achieve your ambition. Harry Martinson focused on fulfilling his purpose of life but this never stopped him from achieving every other thing which he attempted. Because, he knew it would give him confidence and courage for him to swim through the reality and reach the bank of success. 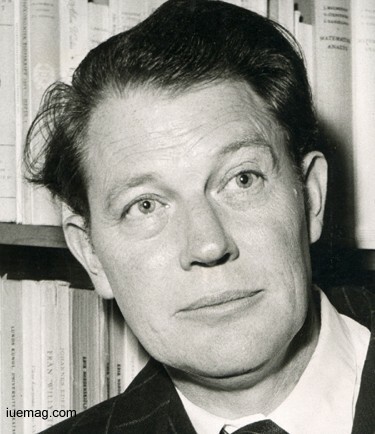 The Swedish author, poet and former sailor was elected into the Swedish Academy. Receiving a joint Nobel Prize in Literature for his writings which outlined and reflected cosmos, the significant reformer fought his life as an orphan and won over negativities. Every life on this planet awaits its grand chance to portray its talent and be a part of the mini world, containing achievers. Grab opportunities to prove yourself. Moreover, the ocean celebrates its happiness when it overflows after receiving its lost droplets. Moon would never want to miss the chance of shining completely when it gets its turn once in every month. Performing once you get the right opportunity and a right platform to express yourself must always be your main focus. It is also important to recognize opportunities as and when they arise and capture it in the right way. However, things happen naturally! There’s nothing much to be worried of. Toots Shor went knocking the door of success directly by taking a flight of optimism. When success demanded him to work on right opportunities in right way, he never gave it a second thought. 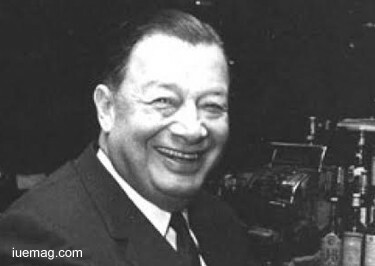 Best known as the proprietor of a legendary saloon and restaurant, Toots Shor's Restaurant in Manhattan, he ran three ventures under the same name. He started as a traveling shirt-and-underwear salesman and grew up to become a legendry achiever who proved that losing parents during childhood would stop an aspiring winner from winning. After reading such eye-opening lessons, you would’ve got an idea of where you dreams lie and where you stand. In order to fill the gap and map your dreams to reality, you got to stand up and stabilize your strong decision to succeed. Go for it at all costs! Any facts, figures or references stated here are made by the author & don't reflect the endorsement of iU at all times unless otherwise drafted by official staff at iU. This article was first published here on 6th May 2017.